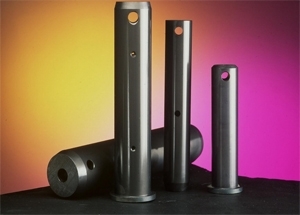 The Nitrotec process improves the corrosion resistance of alloys of alloys from heat treatment. Nitrotec is used to enhance the surface and strength characteristics of a range of carbon and low alloy steels. Wear resistance, improved fatigue performance and excellent corrosion resistance are among the properties conferred by this modern surface treatment technology. Nitrotec is an alternative to Zinc plating. Nitrotec is a replacement for chromium plating. It is more more environmentally friendly, and delivers heat treatment of steels and alloys very successfully. Improvements in performance can significantly reduce the manufacturing and materials cost of components, a fact proved repeatedly by the automotive industry as they use treated pressed parts. In common with other low temperature surface treatments supplied by Hauck HT Ltd, Nitrotec does not introduce distortion into the part, this means that components can be used and fitted directly after treatment. 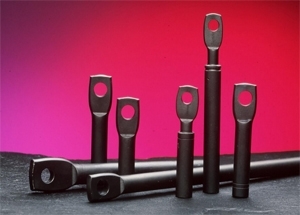 The conventional Nitrotec has a pleasing black appearance and vastly superior corrosion resistance to zinc plating. 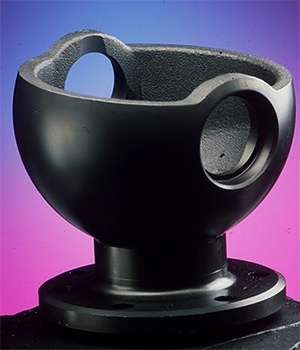 These low temperature, diffusion treatments make low alloy and mild steels up to four times stronger, produce wear resistance equal to hard chromium plating and gives a black finish that has outstanding resistance to corrosion. The types of components that are treated with Nitrotec include: Pistons: Ball Studs: Othe Mild Steel Components. An important member of the family of Nitrotec treatments is NITROTEC-S, a multi stage process, where parts are first machined to a final surface finish required, Nitrotec treated, surface polished in a controlled manner, followed by a post oxidising treatment. This finish gives a dramatic improvement in frictional characteristics and corrosion resistance properties, superior to those obtained when using hard chromium plating techniques. For a more detailed insight into Nitrotec and its many applications, please visit the Nitrotec.co.uk Website. Please download this PDF to view more information concerning Nitrotec and Chrome Replacement.